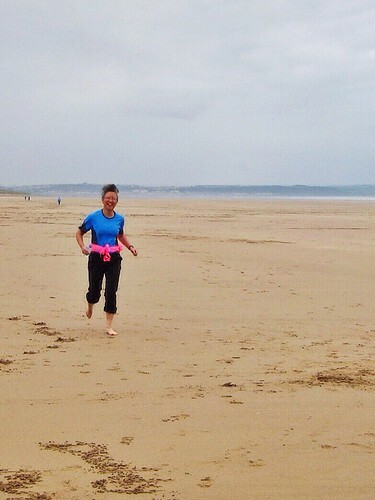 I had never heard of barefoot sandals before until my pal Vincent posted a photo on Facebook. As I am obsessing about feet and shoes and all things pedial these days due to Bound Feet Blues, I set off into the web universe to find out more. There are some amazing and gorgeous foot adornments that can be found – here is an example. Isn’t it just gorgeous? It’s rare to see theatre pieces in the UK about the Chinese experience of life and featuring Chinese actors. So I’m excited that Yellow Earth Theatre are putting on The Last Days of Limehouse, a live drama about the Chinese community in Limehouse, London’s original Chinatown. 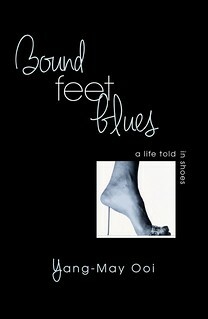 I’ve been blogging a lot about high heels recently and in particular, my efforts to recreate a swaying, high heeled walk for a scene in Bound Feet Blues. To give you a contrast – and especially to show you who I am now, here is a photo of the kind of footwear that I stride around in these days. 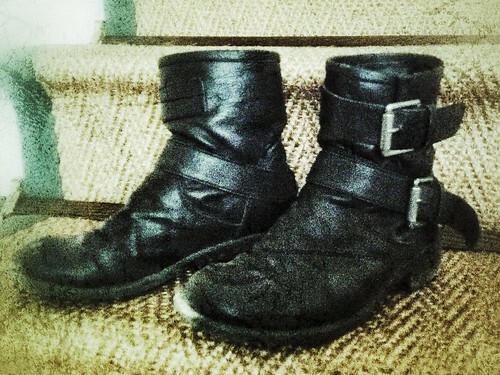 This is the pair of biker boots that I wear most often in my daily life. They are now a bit beaten up and grungy looking. But I love them because they are the most comfortable pair of boots I have at the moment. I’ve been researching how the body moves when walking in high heels as part of the preparation for my solo show Bound Feet Blues. As I am performing the whole piece in bare feet, my aim is to give a flavour of the movements rather than walking in actual high heel shoes. Photographer Jo Farell is documenting the last women in China with bound feet. 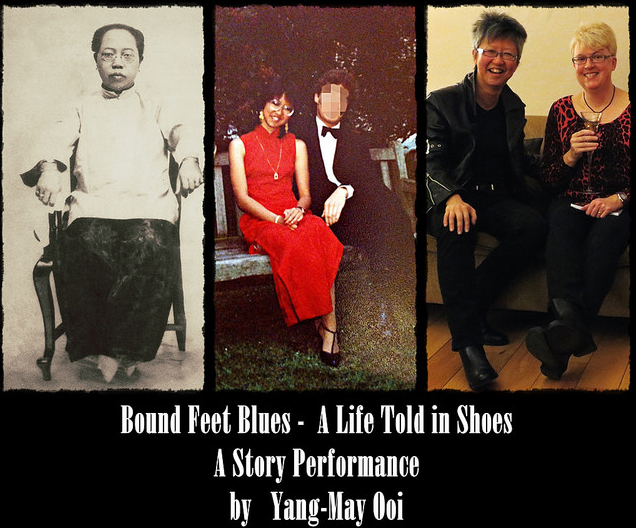 This timely and important project tells the stories of these last remaining women who suffered the brutal practice of footbinding through intimate and respectful black and white photos. This video gives an overview of the project and also outlines some the history and reasons for this ancient Chinese social tradition.